I can not express to you how lucky I am to have the clients that I have! 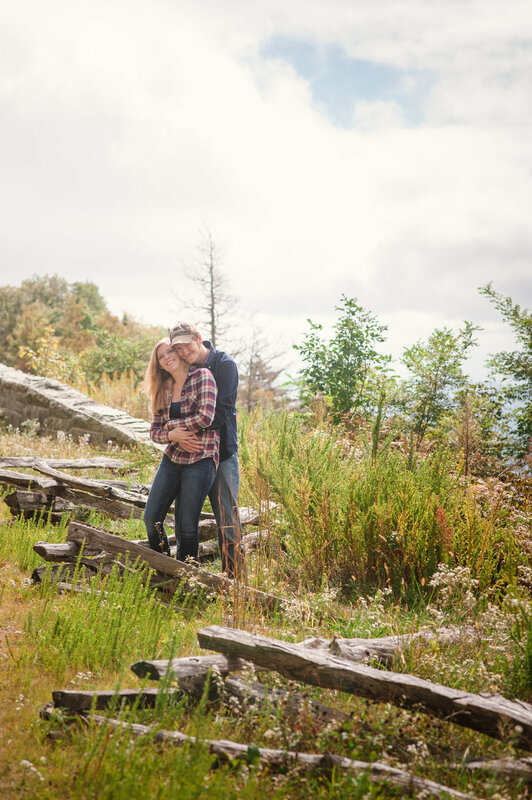 Not only were Justin and Sarah willing to hike around all of Blowing Rock, they were willing to start before the sun even rose! Seriously?! Like, pinch me! If you've ever done a portrait session with me then you know how much I adore that morning light! Sarah and Justin never obliged and were the best to collaborate with! We started out the day at the beautiful Manor at Moses Cone. Being a photographer from out of town I had to do ALOT of searching and asking friends of where the perfect places would be. All of them said the Manor was absolutely gorgeous, and I could not agree more! After that we visited a few state parks, and found our way to the Viaduct--one of Justin's favorite places! 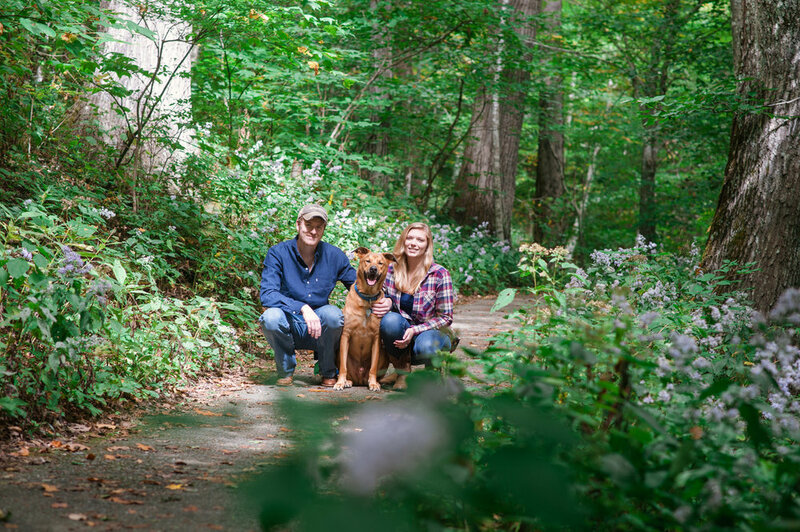 At the end we even got some beautiful and sweet images with them and their dog Winchester. When I say that I have never met a more well-behaved dog, I mean that! 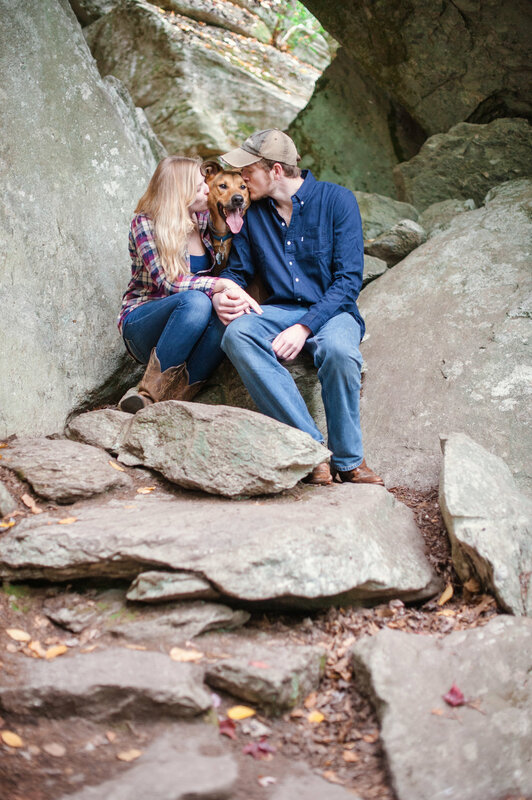 He was all so grown up from the last time I met him [which was when he was a puppy], and it made my heart sing when he became the best little pup in our session. Please enjoy some of my favorite portraits from an all around great couple. Congratulations Sarah and Justin!